Titled after a poem by African American poet Richard Wright about a black man who is tarred and feathered, Between the World and Me uses conceit of a letter to the author’s fifteen-year-old son to explore what it means to be black in America. The scale is at once national and yet deeply personal; Ta-Nehisi Coates encompasses America in geography and history, but also speaks directly to his own child and his individual circumstances. Touching on everything from slavery, to segregation, to mass incarceration, Coates challenges orthodoxies and rejects easy answers in his pursuit of understanding. Between the World and Me challenges America to look darkness in the face, be discomfited by it, and learn to live with that discomfort, rather than remain swaddled in the soothing layers of the Dream. In the opening chapters, Coates shares how his own awareness of his place in society developed, and then contrasts that with how different his son’s upbringing has been. He rejoices in having been able to give his son a better life, and yet cautions against being caught up in “the Dream” that has perpetuated racism in the United States. 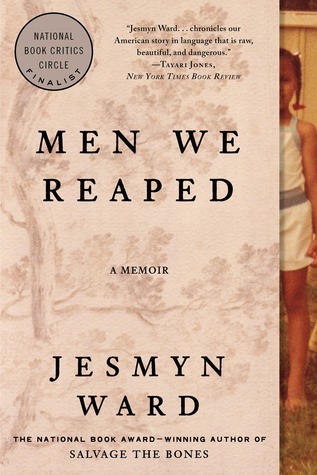 He also shares the painful ways in which he has not been able to make his child’s life different, the ways in which he has felt powerless to save or protect his son from the assumptions that always shroud young black men. “You must be responsible for your body in ways that other boys cannot know. Indeed, you must be responsible for the worst actions of other black bodies, which somehow, will always be assigned to you,” he cautions his child. Education, often thought to be to solution to uplifting the oppressed, comes under intense scrutiny from Coates, who grew up poor in Baltimore. Of his early education he writes, “I was a curious boy, but the schools were not concerned with curiosity. They were concerned with compliance.” Later, he attended the prestigious, historically black Howard University but left without taking a degree. Though Howard was an important site for the formation of his identity, so significant that he dubs it “the Mecca,” he found the classroom to be “a jail of other people’s interests,” and preferred instead to pursue his interests by reading widely. All that reading gives weight and depth to this thin volume, providing the grounding in black history and scholarship that is necessary to write about these issues so concisely without reducing them to absurdities. In many ways I feel inadequate to assess this book because I know I do not have that grounding myself. If Coates is brutal in his dissection of the American Dream, he is no more merciful to black dreams of Mother Africa, or even to France. He credits the history department of Howard University for disabusing him of his youthful notions about a mythical ancient Africa whose lost grandeur somehow ennobled the subsequent suffering of black people. As a child, he never even imagined the world beyond Baltimore, let alone America, but as an adult he travels abroad for the first time to France, and subsequently returns there with his son. But even as he sees the allure of a place where black people were not enslaved and are not part of that country’s “particular problem” or “national guilt,” he warns against indulging too deeply in whatever comfort that may offer. “Remember the Roma you saw begging with their children in the street, and the venom with which they were addressed,” he entreats his son. Throughout the book, Coates addresses what all of this means to him as a secular black man in the context of a highly religious community. If Coates’ views do not seem especially hopeful, perhaps it is because they have been irrevocably shaped by the conviction that the destruction of a black body is also the final end of the person who resided there, not just inside the flesh as believers in the soul might have it, but one with the flesh, and destroyed with it. He emphasizes seeking and struggling over hope and firm answers, and by refusing to put hope on a pedestal, Coates forces readers to look long into the face of the question he lives with every day. 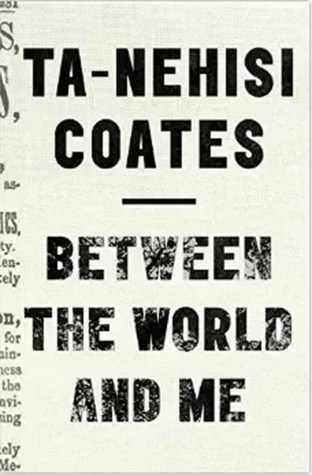 If there is a difficulty in Between the World and Me, it is with the slipperiness of the thing Coates calls “the Dream,” and his lifelong pursuit of the question of how to live in a country that has been defined by it. “The question is unanswerable, which is not to say futile,” he tells his son. “You cannot arrange your life around the hope that that they [the Dreamers] will change, because there is a good chance they will not.” But just as Coates hunted for his own conclusions in the library of Howard University rather than demanding that they be served up to him in the classroom, he seems to demand that the reader engage with these questions for herself rather than expecting him to answer them. Thank you for such a thoughtful summary of this book! I’m excited to learn from reading it. I found the description of Coates’ experience with education very depressing. I wish education were taught in a way that was more freeing and less about conformity. The part about education was disheartening, though I was glad he was able to find what he needed through the library. Too bad we aren’t doing this one for October book club!